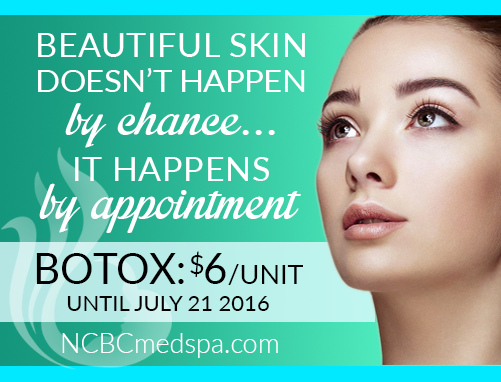 This July only, bank your Botox at $6/unit for the rest of 2016 (regular: $8). By appointment only. Contact info@ncbcmedspa.com or call 416-222-8188!